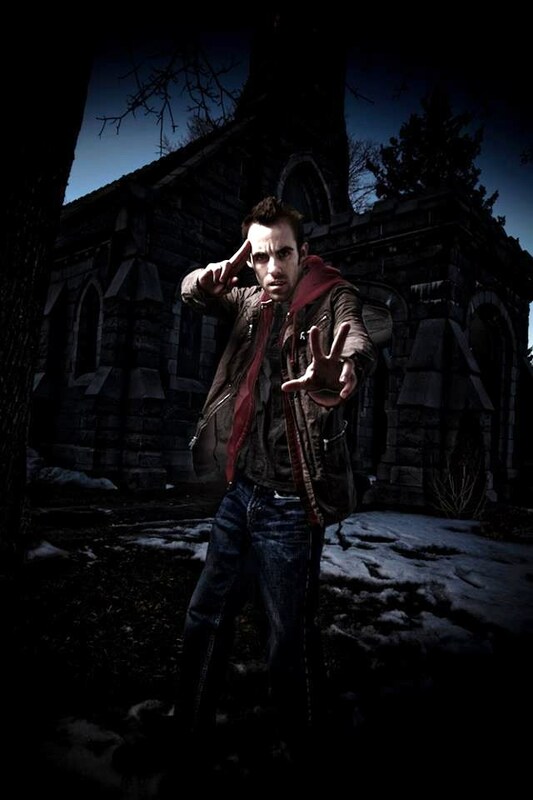 Ty Gowen grew up in Southern Maine and is now a lead ghost investigator on the show Haunt ME. Haunt ME is a ghost hunting web series that takes place right here in Maine. Ty did not stumble across becoming a lead investigator of a ghost hunting show. It came about from a curiosity of his, ever since he was young. He shared how he has always been captivated by the paranormal world because of certain events that have occurred throughout his life. Ironically Ty jokingly admitted how Horror movies terrified him growing up and that he never imagined being a part of a ghost hunting show. Now Ty has the opportunity to explore Maine’s old historical buildings late at night hoping to come across paranormal activity. Ty and the creator of Haunt ME, Ashley Brooks met in high school. They shared their personal ghost stories with each other and both agreed how they were not the only ones with these unexplainable occurrences in their life. As years passed and Ty finished up college at the University of New England, he decided he wanted to fill his extra time learning more about ghost hunting. He contacted a ghost hunting group in Maine and he joined their crew. Ty acquired a greater understanding of the spirit world and that is where he met his good friend Carol Cleveland, who is also a part of Haunt ME. Soon after Ty took his high school friend Ashley out on her birthday for a ghost hunt and she fell in love with it. About a year or two later, Ashley got a group of ghost hunters together for the show Haunt ME. Her vision was to create a paranormal outlet for people to share their stories. The vision was accurate and Haunt ME is approaching the release date of their third season this upcoming May of 2015. Haunt Me is aired on their website Haunt-ME.com, youtube, and a Maine film website called the EntertainmentExperiment.com. Ty proudly explained how Maine is a great place for their show because it offers up tons of historical venues and is “riddled with lore”. Ty said how he loves the story that is attached to a haunted place. In the episodes of Haunt ME they include the history and claims behind the possible haunted location before they enter, to take a closer look. Haunt ME also offers a unique aspect to their show which is a Haunt rating scale. The team will compile prior history and evidence claimed and pre-rate the location on a 1-10 scale before they investigate. Then they will go in for a one night investigation and give it their rating based on any paranormal activity that may happen to them. After they leave they combine the two ratings and give it a final Haunt rating from 1-10. Ty said this way it is a fair rating since their team is there for one night and the claims made are usually by people who are actively present at the location. Ty shared how it was hard to imagine getting the first episode of Haunt ME off the ground because they did not have as much equipment or experience as they do now but he added what power a team can hold. The Haunt ME team consists of five investigators, Ashley Brooks, Ty Gowen, Carol Cleveland, Shawn Ruarke, Katie Webb and the production team. On the production team it started off with their high school friend Nick Nordfors who studied film at NYU, Mike Strout who is the tech specialist, along with their friend Charlie Widdis who is another technical producer. Since the first season they have grown and added new members to the production team; Krista Bertalan, Ross Kearney, Erin Cross, Mandy Wertman, Dave Kelley, Brigid McGovern, Chris Ryall, Johnny Speckman, and Anna Halloran. The team has been able to grow because the followers of Haunt ME have increased. Ty shared how there is a ghost hunting sub community out there and that he enjoys being a part of it. Ty Gowen is a Marketing Consultant by day and by night he is a Ghost Investigator. How he got there was following his curiosity of the paranormal world and now he walks a passionate driven life by being able to partake in Haunt Me. Ty is able to help others identify what type of ghost’s people may be dealing with. He said how 9 out of 10 times spirits are just like humans and they are mainly friendly but some are not as friendly. Some will communicate with the team over the ghost technology they use to read electric magnetic fields while some would rather “walk” away or throw a ball at them. Ty laughed and said “What you don’t see on the show is us behind the scenes walking through these pitch dark places bumping into each other and trying to not miss the last step of stairs.” Haunt ME is an adventure Ty gets to look forward to every month and has the privilege to access inside of Maine’s most historical as well as most haunted locations. Ty reassured that if you want to do something just do it, especially if it is with film. 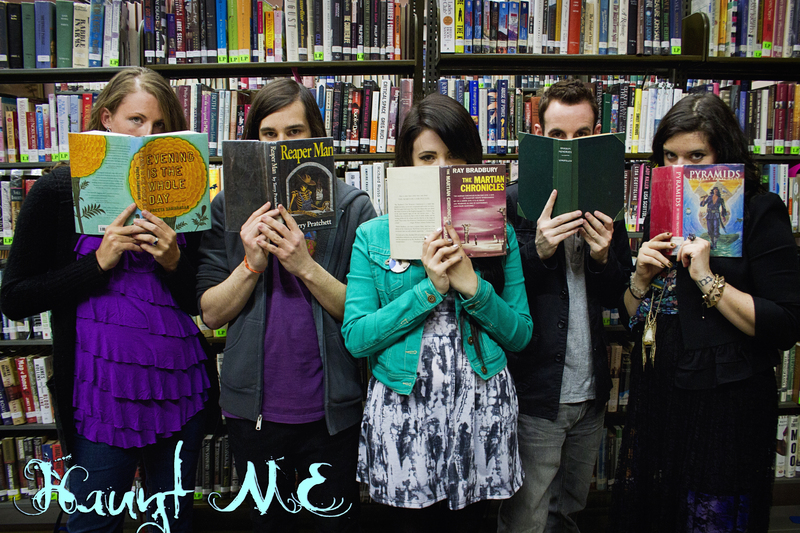 Check out Haunt ME’s Season 2 trailer and the rest of their episodes at Haunt-ME.com…if you dare!